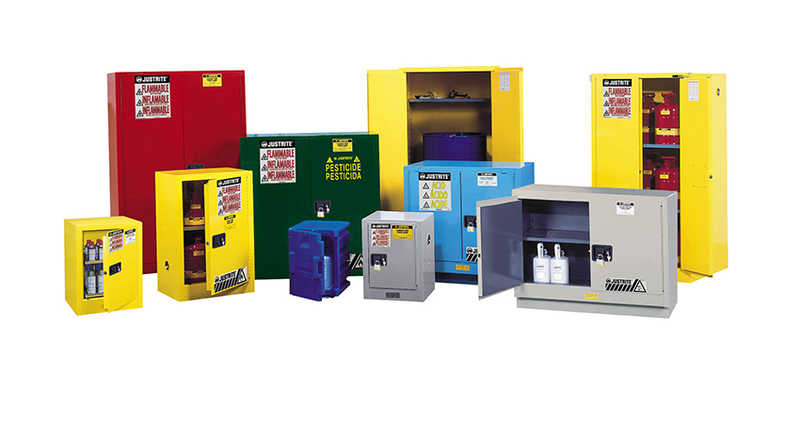 Wadico now provides high performance safety cabinets that securely contain hazardous materials within sturdy, all welded steel. These cabinets provide many added safety and security features and reliable. - Sidewall doors, top and bottom are double walled of air insulation to guard against external combustion. - Non-pooling galvanized steel shelves capture small pills. - Heavy-duty paddle handle automatically self-latches to encourage complete door closure and maintains the fire protection integrity of cabinet. - Lockable doors with two keys included. - Tamper proof closing mechanism includes a three-point latching system. - All cabinets are Fm approved. Compliant with OSHA 29 CFR 1910, NFPA CODE 30 sec 4.3.3 & SEFA 11.